Finding time to cycle regularly is something some people find difficult. 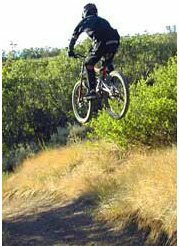 It is well known that bicycling has many many health benefits. If you want to burn off some calories, build muscle, improve your cardio endurance, or improve your mood, riding a bicycle is the answer. But, what if you don't have time to cycle because of your all other responsibilities? Many people choose to incorporate cycling to and from their workplace and by that take advantage of this time that otherwise would have been spent on driving by car. But, what if your workplace is too far away? What if you are not in a good enough shape to do this kind of ride? What if you don't want to get all sweaty to work? And what if you want to be assured that you will get to work on time each day and you won't be conditioned by external conditions such as strong headwinds? An electric bicycle can solve a big percentage of this problems. With an e-bike, you can decide how much do you want to cycle by adjusting the amount of assistance that you get from the e-bike motor. So you are able to set the level of assistance to high on your way to work and on the way back, set it to low level or even the generating mode (if you bike has this feature) which turn your bike into a sort of exercise bike by resisting you instead of assist you. According to your fitness level, external conditions such as weather conditions, headwinds and uphills, you set the assistance level and you are ready to go. You don't have to get all sweaty to work with an e-bike. There are electric bicycles that have just a low and high level of assistance, and there are even bikes that have only off and on modes. If cycling is important to you, and you want to pedal, a larger variety of assistance levels is preferable.